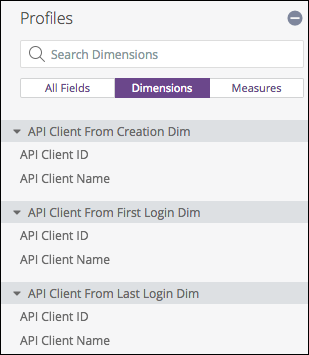 Dimensions are used to specify the data you want returned; more specifically, and using database terminology, dimensions return specific fields from specific tables. 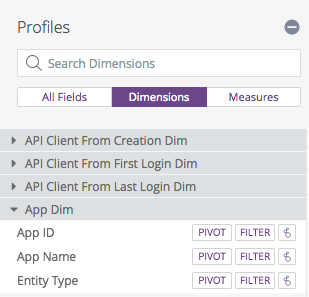 You use dimensions to determine the information you want your query to bring back. 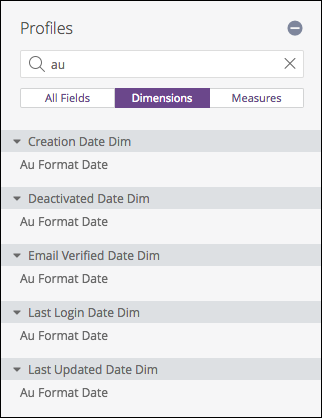 For example, if you’re using the Profile Dim Explore, you can return information about user ages, email domains, and genders. 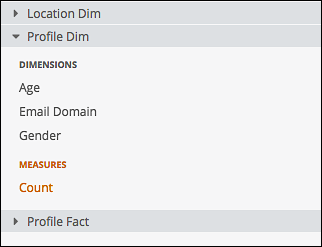 Those three items - Age, Email Domain, and Gender - are the dimensions for the Profile Dim Explore. Note. 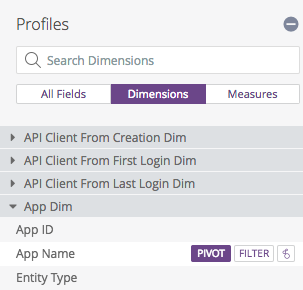 After searching for a field name, click the X to reset the fields list. 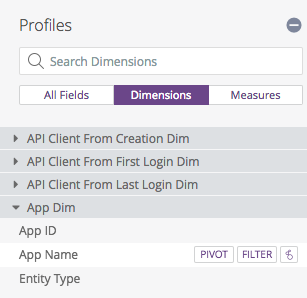 In other words, click once to enable something, click a second time to disable it. 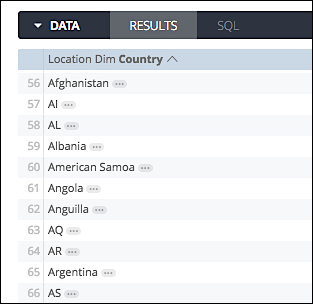 As noted, this query returns the different country names that are stored in our database. That can be useful information. However, what might really be useful would be to know how many users we have from each of these countries. That’s where measures enter the picture.